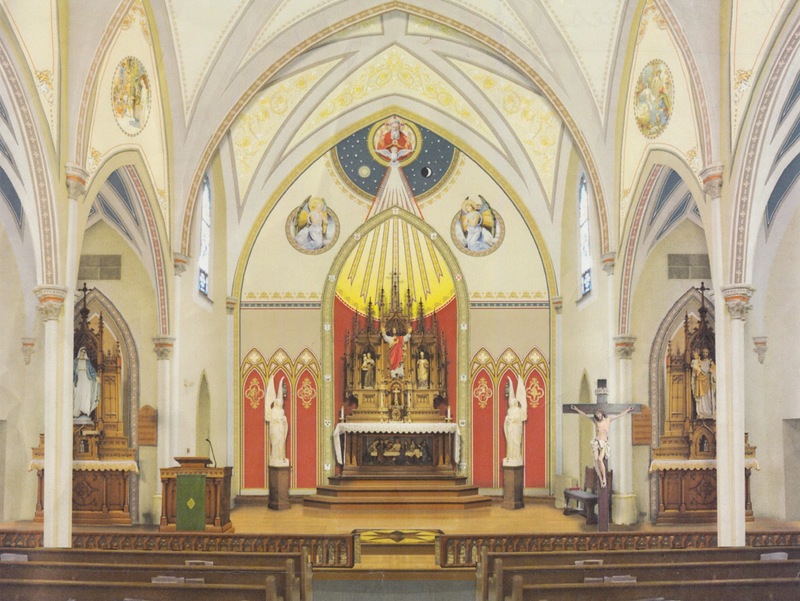 The Traditional Latin Mass is now being offered at 10:30 am on Thursdays, Saturdays, and Sundays at the chapel located inside of OSF St. Elizabeth Medical Center in Ottawa, IL. The hospital chaplain and Director of Pastoral Care, Fr. Michael Driscoll is offering the mass according to the 1962 Missal. This is a representation of the finished sanctuary of St. Valentine Catholic Church in Peru, IL. This project (phase I) is due to be finished by Easter 2013.